When the conventional method of disputing an inaccuracy on your credit report fails to yield results, the 623 dispute method may be a viable alternative to getting erroneous or unconfirmed information removed from your report. 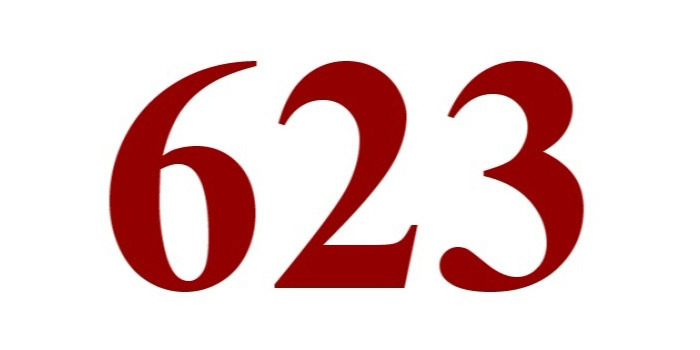 The 623 dispute method is named after Section 623 of the Fair Credit Reporting Act. It allows you to dispute any inaccurate information on your credit report directly with the original creditor, as long as you’ve already completed the process with the credit bureau. Learn the step-by-step process to correctly execute this strategic dispute method. 1 What is a 623 dispute? 2 What is the 623 dispute process? 3 Can a 623 dispute really work? 4 When won’t a 623 dispute work? What is a 623 dispute? A 623 dispute does not work in the same way as a traditional dispute through the credit bureaus because you are not asking for verification of the debt. Instead, you’re asking for an investigation of the accuracy of the records on that debt. File a dispute with the credit bureau. Await the results of the investigation. If the negative information is not automatically removed through that process, proceed to the next step. File a 623 Dispute notice with the original creditor, asking for an investigation into the debt or delinquency. If the original creditor does not have proof of the debt or delinquency, the negative information must be removed from your credit report. If the original creditor does not comply, you will have to file suit in order to have it removed. Remember that all 623 disputes must begin with a traditional credit bureau dispute first. As you’ll soon find out, you could bring on some unintentional negative consequences if you don’t. What is the 623 dispute process? In order to successfully challenge negative listings on your credit report through the 623 dispute method, you must first dispute the information through the credit bureau. When you dispute the information to the credit bureau, you must wait for the 30 days for the investigation to be complete. If the original creditor verifies that the negative listing is accurate, then you move forward with the next step which is to dispute directly with the original creditor itself. Under the laws governing the 623 dispute method, creditors must conduct an investigation when requested. In addition, when investigating, they must review the information that you provide relating to that dispute, and they must respond within 30 days to your original investigation request. New laws governing fair credit reporting went into effect in 2010 and explicitly require the original creditors to investigate when requested by a consumer. While the FCRA is in place to protect you and your rights in the face of creditors, you must also pay careful attention to the rights of the creditor. Otherwise, you run the risk of giving up some of your own rights in the process. One key example of this occurs in the 623 dispute process. As we stated earlier, you must file a traditional dispute with the credit bureau first. If you don’t, and instead dispute directly with the creditor, you waive your right to sue the company. If they refuse to look into your request or start an investigation, you have no legal recourse because you didn’t follow the proper protocol. You can try and get a federal or state regulator to pursue your case on your behalf, but there’s no guarantee it will happen. Make sure you follow each step of the process exactly so that you can fully benefit from the 623 dispute process. Can a 623 dispute really work? This method will only work to remove entries on your credit report that are inaccurate, or entries in which the creditor no longer has to verifiable information. While you might think that the credit card agencies will have up-to-the-minute information about your past debts, this is often not the case. In fact, most credit card companies will only keep your records for 13 to 18 months. If you have any late payments, charge-offs, or other relevant information prior to this time, they probably won’t be able to verify any of it through their records. The 623 dispute method works because anything that is inaccurate, or not in the creditor’s records will have to be corrected on your credit report. This means that if the credit card company does not have any records on your account at all they must contact the credit bureaus to have the negative information removed. If you have disputed the information through the credit bureau before initiating the 623 dispute process, and the creditor refuses to remove erroneous information, you will have grounds to sue. Otherwise, your only legal recourse will be to have the state or federal authorities pursue the case, and it is solely at their discretion to do so. When won’t a 623 dispute work? There are a few different scenarios in which a 623 dispute likely won’t be successful. For example, it probably will not work for a debt that is fairly recent. It is also unlikely to work for those companies who do keep detailed records spanning several years. In addition, you will need to be somewhat specific about the information you wish to be investigated and any records that you have that can prove that there is an error will be helpful. So if you don’t keep your own consistent records, you may have trouble getting the information removed. At the very minimum, you must identify the account by the actual account number and provide a reason to the original creditor explaining why you are disputing the accuracy of their records. If you do not provide this information as a part of your investigation request, the original creditor may determine that your request is frivolous and deny the investigation. If they do decide this, then they have five days in which to notify you in writing. Overall, the 623 dispute method works best for past delinquencies and charge-offs that may no longer be listed appropriately in the records. Still, you’ll need at least the basic information to get started. If you can’t find anything in your own records, check your credit report to see if there is any account information listed there. When you still don’t have success with a 623 dispute, even after following these steps and supplying detailed account information, consider talking to a professional. Credit repair companies have the legal knowledge and extensive field experience with getting all types of negative items removed from credit reports. You can start with a simply phone consultation to see what they think about the steps you’ve already taken and how they might be able to bolster your case. Whether you have one negative item on your report or several, it’s never too late to ask for help.